Africa woos Indian investors. Calling Africa a \"land of opportunity\", delegates from the world\'s second largest continent on Wednesday invited Indian investors to tap opportunities in sectors like infrastructure and mining. New Delhi: Calling Africa a "land of opportunity", delegates from the world's second largest continent on Wednesday invited Indian investors to tap opportunities in sectors like infrastructure and mining. The delegates, who are here for the ongoing 3rd India-Africa Forum Summit, said there were enormous opportunities in infrastructure sector as most of the African countries were facing acute physical infrastructure bottlenecks. 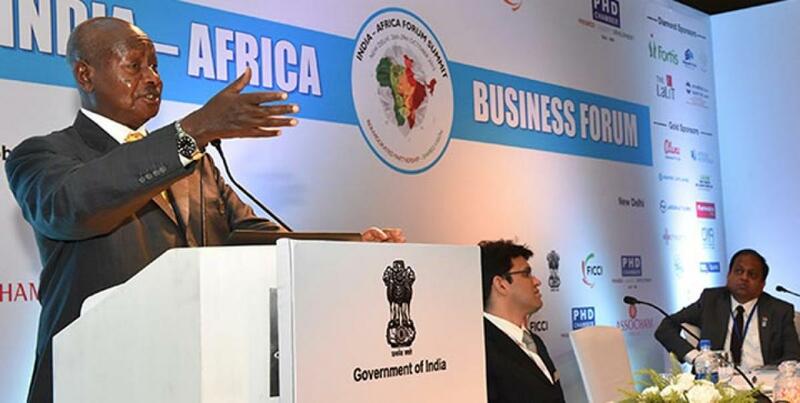 "We invite investors from India as there exists huge opportunities in various sectors, including infrastructure in Africa," Malawi's Trade and Industry Minister Joseph Mwanamvekha said here at the India Africa Business Forum. Wooing local investors, Mwanamvekha said, Africa, whose gross domestic product stood at 2.5 trillion dollars in 2014, also offers great opportunities in other sectors like mining, information and communication technology, water, transportation, housing and sanitation. According to a KPMG-CII report, mineral fuel exports from Africa to India grew from 832 million dollars in 2005 to over 27.4 billion dollars in 2014. Replying to a question, Ethiopia's Foreign Affairs Minister Tedros Adhanom Ghebreyesus said his government was giving utmost importance to the small and medium enterprises (SME) which was an imperative to generate employment. "The SME sector is the centre of gravity. The government is investing heavily into the sector," Ghebreyesus said, adding it had created 2.6 million jobs in the country last year. Tom Alweendo, minister for national planning of Namibia, was also present at the event jointly organised by Assocham, CII, FICCI and the PHD Chamber. Bilateral trade between India and Africa rose to $75 billion in 2014 from $8.2 billion in 2004, according to a working paper by the Export Import Bank of India.